After a decade of trying, Concordia University will be able to offer students an official Major in First Peoples Studies, its long-sought governmental recognition approved this past summer. The decision was announced by Karl Hele, program director for First Peoples Studies at Concordia. Concordia is the first university in Quebec to offer an official major in First Peoples studies. The graduating class of 2014 will be the first group of students to get their major in First Peoples Studies recognized on their degree. For the three years Hele’s been at Concordia, the procedure of legitimizing the major has been a back-and-forth with the provincial government, providing clarifications about the program. Hele, along with Daniel Salée, who has been on several committees to push this program through the university system, have had to explain the methodologies used to both the Ministry of Education and the Conference of Rectors and Principals of Quebec Universities since Concordia’s Senate approved the program in 2006. Concordia’s approach to First Peoples Studies differs from that of most Canadian universities, which Hele says usually combine courses from different faculties in addition to creating of a few core courses for each year. “It would be like doing a history degree by pasting in anthropology and Canadian literature,” said Hele of the approach Concordia is avoiding. At Concordia, both the minor and major are comprised of courses designed specifically by and for the program, despite only two professors currently working there full-time. Hele says the program doesn’t study First Peoples culture like an anthropology course, where the examined culture is the other. Instead, it’s presented as a living, vibrant thing, learned “from the inside out instead of the outside in,” he said. First Peoples Studies at Concordia is founded with attention to the medicine wheel, a teaching tool used to introduce interconnected aboriginal philosophies. “The medicine wheel talks about respect, stages of life, how education works within it, each of the colours and positions represent something, and they’re all interlinked,” said Hele. But such a philosophical foundation has caused hiccups during the program’s quest for approval. “When you try to get philosophical and put it into proposals to give to bureaucrats, the bureaucrats aren’t necessarily trained to look for the philosophy,” said Hele, noting several instances when the government asked for clarifications concerning the medicine wheel. “They want ‘This is what we’re doing’—the specifics. We had to sit down and say how the courses fit into the framework, make the philosophy more grounded to show the government that there is a very practical reason this is here,” Hele said. The major is a multidisciplinary program covering language, education, history and politics courses. Mandatory courses give a greater knowledge of First Peoples issues that can be used to inform more specialized research. The program relies heavily on part-time faculty and frequently have guest lecturers come in from Native communities. 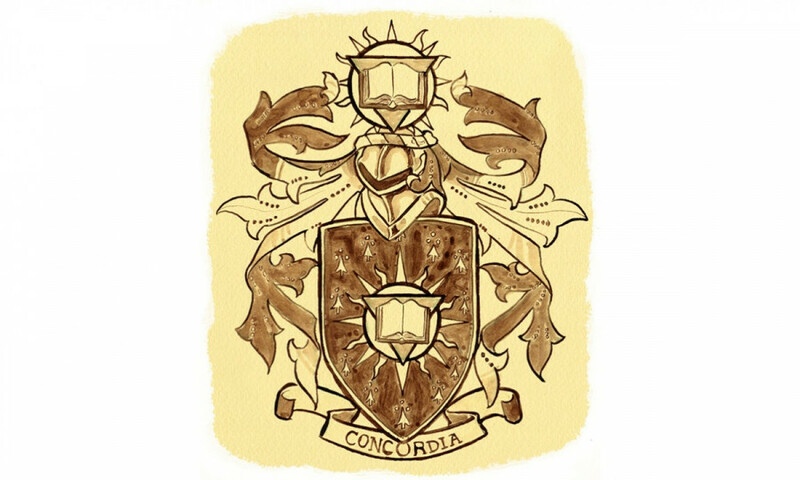 Along with the program, Concordia seeks to establish a highly respectful learning space, recognizing the diverse levels of knowledge and understanding of subject matter the students entering the program will have. “The ones that get shaken up are the ones who come out of high schools and CEGEPs and know, ‘Indians are friendly, we did the fur trade, we signed treaties, that’s it,’” said Hele. Part of what the program sets out to do is present the aboriginal perspective that contradicts such views. Hele says the program will be eye-opening for some students. “When they see that First Nations peoples were not treated equally, and when you talk about other policies, like discrimination against the Chinese, discrimination against the Sikhs, Canadian campaigns to keep Africans out of Canada, it really freaks them out because they haven’t learned any of it,” he said. Salée, who also teaches in the Political Science department and the School of Community and Public Affairs, of which First Peoples Studies is a part, is a former coordinator of Concordia’s Aboriginal Students Resource Centre, which keeps close—albeit informal—ties with the program. The centre offers a study space for aboriginal students, a “home away from home” in the words of the centre’s current coordinator, Nadine Montour. The centre offers a library of over 1,500 books, often used by First Peoples Studies undergrads. Concordia President Alan Shepard thinks providing both resources and education for the aboriginal community is important to the university. “One of Concordia’s strands of DNA is an access and opportunity strand, and [the aboriginal community] is certainly a group we want to reach out to and that we want to have a robust participation from,” he said. For the next 10 years, what Hele envisions is First Peoples Studies becoming its own department, and for a graduate program to be initiated. And if there’s enough sustained student interest, there’s no reason for that not to happen.